Welcome to my website! 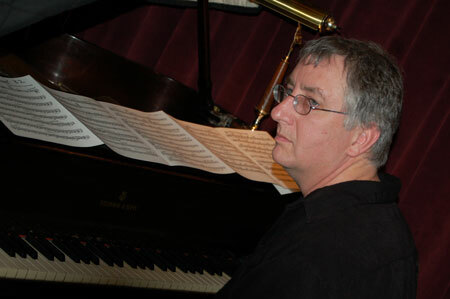 I am a jazz piano and keyboard player and have been performing, arranging, composing and recording in the Pittsburgh area as well as other areas of the country since 1975. I have traveled extensively as a performer and lived in a variety of locations during my career including Portland, OR, Los Angeles, CA and the Catskill mountains of New York. Currently I make my home in Pittsburgh and perform with many different bands in the area as well as with artists who pick up bands when they come through Pittsburgh on tour. I am also an adjunct professor of jazz piano at Duquesne University’s Mary Pappart School of Music. I am also am a multimedia developer in my other life. I shoot and edit video, do graphic design, website development and photography, but music and especially playing jazz piano, is my passion and spiritual center. I feel blessed to be a part of the incredible Pittsburgh music scene. Pittsburgh has an extremely rich music tradition producing many of the giants of jazz piano, including Ahmad Jamal, Erroll Garner, Earl “Fatha” Hines, Dodo Marmarosa and Mary Lou Williams to name a few. I humbly hope that I can live up to that legacy. I am honored to be a member of Roger Humphries and RH Factor. Roger is a living part of the Pittsburgh jazz legacy and one of the best drummers and musicians in jazz today. RH Factor is an incredible band that plays music in the tradition of the “Art Blakey and the Jazz Messengers”, with an updated twist. Please check out some of the information, music, photos and videos that are on the site. Please register here to receive email newsletters and access to special materials on the site. Please feel free to contact me through the “Contact Max” page if you have any questions, are interested in bookings, hiring me to work on a project, or just want to say hello. Have a great day!